Ever felt as if the world were spinning around you? Or that the darkness is sucking you in? Dizziness can range from light-headedness to nausea, vomiting to blackouts. Depending on how it manifests itself, there are different kinds of dizziness. Vertigo is by far the most common kind of dizziness. It is believed that a good percentage of people over the age of 60 suffer from vertigo. Dizziness can be brought on by varying causes. Severe headache, hypoglycemia, migraines, ear infection, sudden change in blood pressure, anxiety disorders, travel or neurological problems can cause it. Unfortunately, for many people dizziness is not a matter they can ignore. There are a number of medications that are useful for alleviating the symptom of dizziness. However, most of these medicines can cause discomfort and other undesirable side effects. Long term use of these medicines is therefore undesirable. 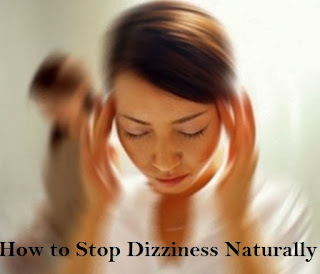 This is the reason why many people resort to the most effective means of stopping dizziness naturally. Fresh ginger and ginger extracts are one of the most widely used natural remedies for dizziness. Fresh ginger is obviously the most useful form of ginger. It is even more effective than dried ginger. However, since it is difficult to get fresh ginger and take it in the right amounts, therefore most people take ginger in the form of tablets or powders. Ginger is particularly effective for dizziness that results from travel. It can even alleviate symptoms of motion sickness. Ginger has certain properties that can tone down the conflicting messages received by the brain. This ensures smoother coordination between the various sense organs and puts an end to dizziness. Ginger can also calm down the symptoms of vomiting, cold sweat and nausea associated with dizziness. To treat dizziness naturally, you can take fresh ginger or ginger in the form of tablets or powders. Depending on the dosage and the severity of the condition, sufferers may take in 1-2 capsules 2-4 times a day. Reduced flow of blood to the brain can lead to feelings of light-headedness. In the case of dizziness that results from high blood pressure, celery juice can be an effective treatment. Another natural treatment for dizziness is gingko biloba. It can calm down symptoms and lead to relaxation. Mixing equal amounts of honey and apple cider vinegar with warm water is also said to be effective. The intake of caffeinated drinks and spicy foods can lead to dizzy spells. Healthy living is another way in which it is possible to avert spells of dizziness. According to some experts, imagery may be used in conjunction with natural herbs to get over spells of dizziness naturally.